Hiking and Picnic with children. You must be a member of the Málaga Outdoors & Sports Group to attend this activity. Would you like to join this group? Let's spend a nice day outdoors with our children. It is an activity suitable for all ages. 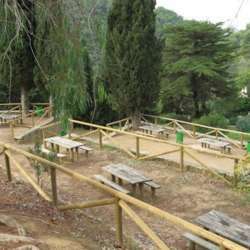 Those who wish may do some hiking and who doesn't can wait for us in the recreational area where we will take our picnic. We set up the meeting point in Ciudad Jardín, Málaga, to share the cars. It's about fourty minutes driving from the meeting point to the recreational area. P.S. This Meetup is the coming together of a group of like-minded people to enjoy themselves and is not a guided tour. The Meetup is free (non-chargeable). Everyone is responsible for their own safety and security.